The city is your home. 1. You're a strong woman who can and will fight for what's yours. Like that unoccupied seat on the train, or that last available parking slot. No one will hand you anything on a silver platter, and that's okay. You're a stronger person because of it. 2. Nothing fazes you anymore, really. You've developed a thick skin for virtually anything—the heavy traffic, the long hours at the office, even the constant price changes. Bring it on! 3. Nothing you need is more than 30 minutes away from where you live. Nothing beats entering a convenience store in your pajamas at two in the morning. Or grabbing dinner at any of the five fast food joints in your neighborhood when you don't feel like doing the dishes. 4. A single day is never enough to get everything done. Such is the life of a young professional—"Me" time is nothing but a mere concept. Just kidding. You know you'll always have time for a few episodes of your new favorite sitcom. You always bring a pair of flats with you to make your journey home via walkways, jeepneys, tricycles, and train rides as bearable as possible. Speaking of journeys, you don't even need a navigation app to go around anymore—your memories and personal experiences are more than enough. 6. You're always glad to be back after a long trip. No matter which paradise you try to soul-search in, you always find solitude in the city. 7. You've become immune to the city's harmful elements. At least that's what you think. As proud as you are of being a city girl, the one downside of living in the city is that you're constantly exposed to the sun and pollution, both of which have a damaging effect on your skin. Have you ever heard of "city-ready skin?" Having "city-ready skin" means being able to embrace and explore the wonders of the city without having to worry about the effects of sun and pollution. You can achieve this by applying Vaseline Healthy White Sun + Pollution Protection to your skin before stepping out of the house. It has the right amount of SPF (Sun Protection Factor) and PFA (Protection Factor of UVA) to help protect your skin from sun damage. It also has PPF (Pollution Protection Formula), which fights pollution while moisturizing your skin. Here's to all the girls who brave the city life every day! 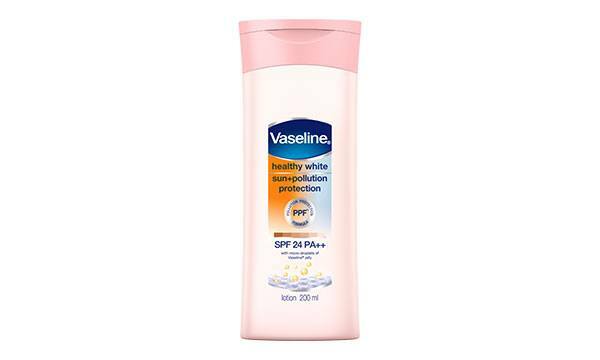 Vaseline Healthy White Sun + Pollution Protection is available in all leading supermarkets, department stores, and drugstores nationwide, and online through Lazada.